A fun & independent holiday shopping experience for SJD students that promotes reducing, reusing and recycling. 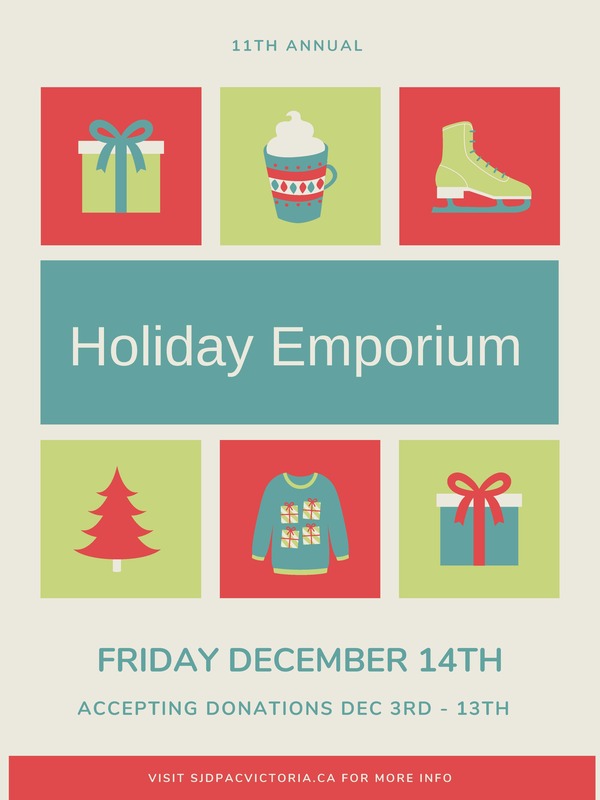 The Emporium provides students with an opportunity to purchase inexpensive, gently used items as gifts for family members. Parents, extended family, and staff donate items for sale and all gifts will be wrapped with donated and recyclable material. Students will be able to purchase 2 gifts each, with an opportunity to purchase more at the end of the day (inventory permitting, these gifts will not be wrapped). All unsold items will be donated to charity. No item will cost more than $5.00. But in order to make this event a success, we need your help! Donations will be received at the school office during school hours beginning Monday, December 3 through to Dec 13 – the earlier the better so that we can sort & price. – Items must be clean and in good condition; ask yourself: would you be comfortable wrapping it and giving it to someone? – Sorry, but we are not able to accept: stuffed toys, fast food restaurant toys, clothing (other than scarves, gloves & ties, but no hats), textbooks, magazines, VHS or cassette tapes, and very large items (unless they are in their own box, otherwise we can’t wrap them). – Name-tags, wrapping & tissue paper, fabric, gift bags, newsprint, craft paper, bubble wrap, fabric, ribbon, plastic bags, tape, and gift boxes, etc.